Fuel/Friends is excited to be hosting an advance listening party of the new Josh Ritter album next Tuesday for happy hour at the Meadowlark in Denver! So Runs The World Away won’t be out until May 4th, but I’m teaming up with the fine gentlemen at Gigbot host this opportunity for you to listen early, and enjoy some drink specials ‘n stuff while you’re at it. Come and hotly debate with me if Ritter is one of the most important songwriters of our generation, as I once postulated. I do love him so. Listen to another one of the new songs here, and the earlier version here. 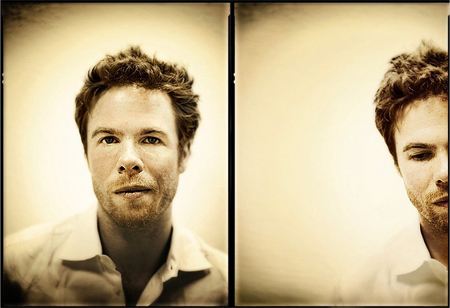 Other nationwide Josh Ritter listening parties can be viewed here. Also, there’s an open stage that night at The Meadowlark starting at 8:30 with Tyler Despres and Maria Kohler, if you feel like hanging around for even more good music. We won’t kick you out. 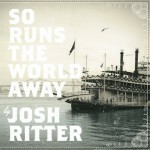 Tagged with gigbot, josh ritter, listening party, todd roeth. To have 2 $1 PBRs or 1 $2 domestic… that is the question. That sounds like a really awesome night. Do enjoy it Heather and co. I’m really smitten with this record. Maybe not his best, but right up there! I love how Josh brings you back through your record collection. At times you here Dylan, Cohen and Springteen, then a little sprinkle of Prine and Simon. Yet through it all he remains Ritter and may I dare say on his way to joining them all at the throne. A brilliant singer/songwriter and by far the best of his generation.